The new four track EP from northern England folk-punk powerhouse Headsticks featuring the legendary voice of Mr. Crass Steve Ignorant. On first listen to this you may wonder why its being reviewed on these pages. After all we pride ourselves on being celtic-punk and covering (or trying to cover) every aspect of the Celtic music diaspora. While this has seen us feature everything from trad to metal to hip-hop the one kind of music that we haven’t really gone into is what I use to describe as ‘festival music’. The sort of alternative folk-rock pumped out for the last few decades by the likes of New Model Army or The Levellers. But they do own, much like everyone in England!, some rather special Celtic credentials too with the bands roots firmly in the ashes of two much loved, and sadly long gone, celtic-punk bands ‘Tower Struck Down’, who were one of first English celtic-punk bands back in 1985, and Jugopunch. Headsticks (not The Headsticks) hail from the once proud industrial town of Stoke once amed for the manufacture of pottery (the area is known as The Potteries), coal mining and steel making. All of the areas main industries are long gone having been decimated by successive governments of Labour and Tory who care nothing for the working class while they chase the votes and follow the whims of the urban ‘chattering’ classes. They have featured on this site before with reviews of their debut album, Muster and their follow up Feather And Flames. Both albums were very well received and have seen the bands star rise with each release and having graced the 0161 Festival in Manchester among others and even reached London several times, each time with a growing number of fans. While there is nothing particularly ‘Celtic’ going on within this EP what you do get is four songs of expertly played catchy as hell and in-yer-face folk-punk with a biting and still humorous at times social commentary which takes well aimed strikes at those who blight our lives with their misrule while all the time knowing exactly who their music is aimed at. The band describe themselves as “where folk and punk collide” and is as perfect a way to sum them up in five words as could be imagined. The songs start side 1 and ‘Big Game Hunter’ and features the unmistakable dulcet tones of the one and only Steve Ignorant of seminal English anarcho-punk band Crass. We have all seen the photos on Facebook of these utter shits standing next and smiling over the corpse of some amazingly beautiful animal they have shot from safety while on safari. While our hope is that they turn the tables on these monsters it rarely happens and ‘trophy hunting’ only seems to be getting more and more popular among the rich and powerful. Maybe one day they will doing it to us? The song has managed to catch both the typical sound of Headsticks and a couple of Steve’s better previous bands pitched somewhere between Schwartzeneggar and the Stratford Mercenaries. Side 1 comes to an end with ‘Dying For A Lie’ which gives its name to the record. The sad tale of war criminal Tony Blair and the lies. lies, lies that he told to bring us to war in Iraq. The song is catchy and a real head nodder for those of us well past our moshing days. Like a lot of their previous stuff there are touches of country music here and there and it all makes for an enjoyable romp with a nice fist in the air chorus to shout along to. Flipping over we have side 2 and we are off with the fantastic folk-punk anthem ‘Soaps & Costume Drama’. The recent fad of fancy BBC dramas is a world away from the lives of most people and nowhere on this EP do the words resonate so powerful. Absolutely classic Headsticks and it sees the welcome introduction of one of my favourite instruments the harmonica too. The disc comes to an end with ‘You’re Killing Me America’, both a band and a crowd favourite re-recorded from the Muster album. It’s brought slap bang up to date beginning with Donald Trump’s voice starting the song off and I would say the rough edges are gone but I don’t think the old version had any but they have added something to it besides a few samples but its kind of hard to put your finger on it. 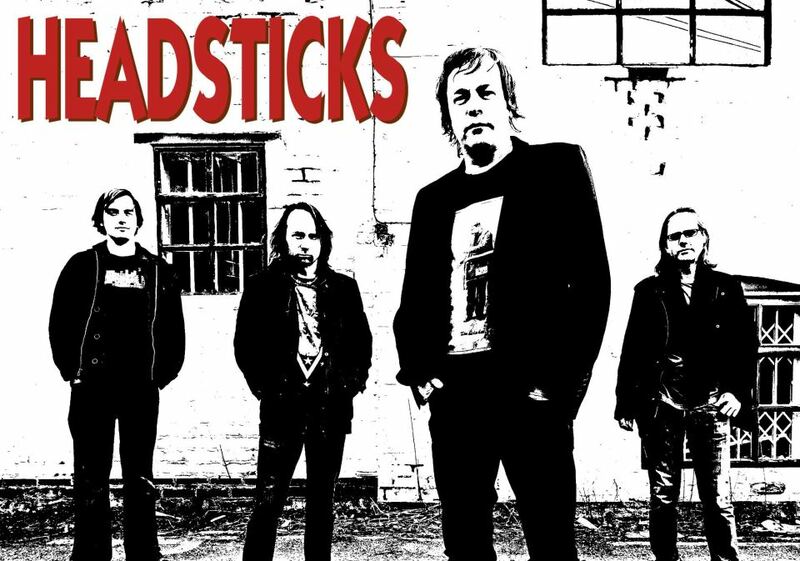 It may have only acoustic guitar and harmonica as ‘folk’ instruments but Headsticks have an unmistakable traditional English folk sound that I’m sure would appeal to all fans of celtic-punk. The whole thing comes in a package of a 10″ record on red vinyl that is quite possibly the most beautiful package we have ever received at London Celtic Punks towers. You don’t just get the record either with a whole bunch of stickers, postcards, lyric sheet and download code included. Having been around a bit I’m more than happy to see the resurgence of vinyl even if I do personally listen to most of music on my mobile! The band have also released a live album recently and we will be getting round to that soon but the urgency and honesty and just plain good old fashioned folk’n’roll from their album’s is still very much in evidence and while they may be heavy on the mind they are also light on their feet. An EP of four superbly crafted songs that reflect perfectly what the band represent- the place “where folk and punk collide”. 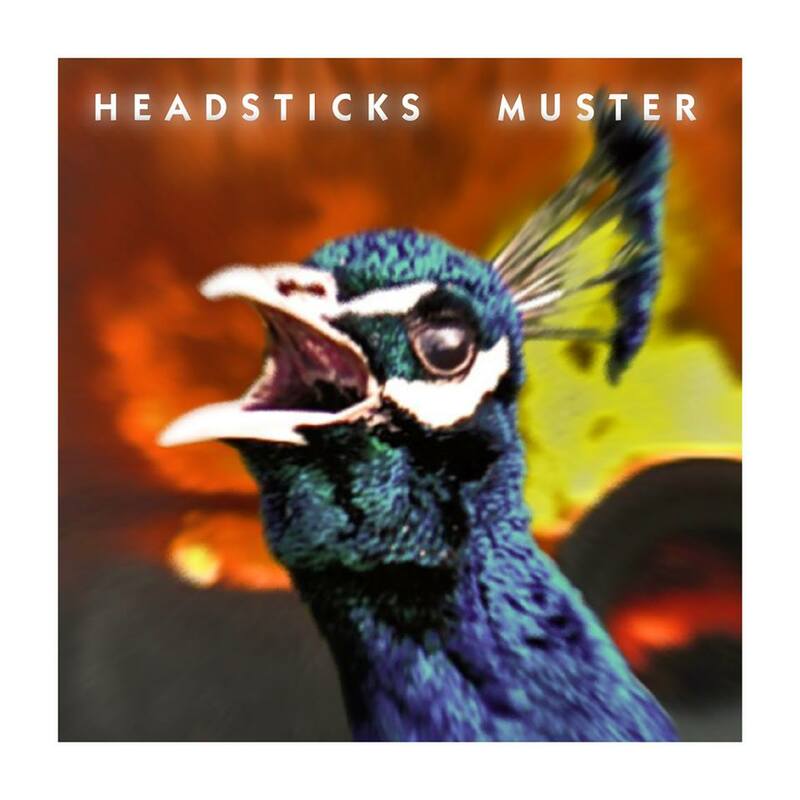 Headsticks are a relatively new band to me coming from Stoke-On-Trent in the northern Midlands of England. The area is named The Potteries after its main industry of pottery. Sadly those days are long gone and along with coal mining and steel making all of the areas main industries have been decimated. Headsticks prove though that in an area where fascists until recently made up the official opposition in the local council that their is hope for the left, and by that I mean the real left not the trendy middle classes who helped destroy Stoke and its communities. and is very reminiscent of classic British folk-rock acts like the New Model Army, Billy Bragg (when he was good) and Blyth Power. Formed out of the ashes of two much loved celtic-punk bands ‘Tower Struck Down’ from Crewe in Cheshire who were one of the original scene bands formed way back in 1985 and the band that came out of them Jugopunch who featured on the Shite’n’Onions 2nd Volume Compilation CD. Headsticks have been kicking up a bit of a fuss around their home and now further afield as well with the release of this their debut album. Last year they released a 3-track demo which was pretty well received but the reception to ‘Muster’ has been universally impressive. ‘Paper Flowers’ tells of young men being sent away to kill and be killed in wars that we shouldn’t be involved in. ‘I Love The Way’ ends the disc with another great anthem and fist in the air chorus. A great album and recommended for all here. Despite only being formed in 2012 I can see these boys shortly becoming firm favourites on the festival scene. Their music will appeal to all from the teeny punk bopper to the grizzled old folkie and with sound politics and even sounder ethics this is a band we can all put our trust in.